Saudi Crown Prince Mohammed bin Salman attends the Future Investment Initiative conference in Riyadh, Saudi Arabia October 24, 2017. RIYADH - The $500 billion mega-city planned by Saudi Arabia will be floated on financial markets alongside oil giant Saudi Aramco as part of the kingdom’s drive to diversify away from oil, the crown prince told Reuters in an interview late on Wednesday. Crown Prince Mohammed bin Salman also said Aramco’s initial public offering is on track for next year and the national oil giant could be valued at more than $2 trillion - a sum some investors have said appears unrealistically high. His surprise announcement about the listing of NEOM, a 26,500-square km (10,230-square mile) zone that will extend into Jordan and Egypt, is the latest and most extraordinary in a slate of privatization programs led by the floating of Aramco. The futuristic high tech hub looks set to become a flagship of reforms championed by Prince Mohammed to create jobs, encourage entrepreneurs and permit new freedoms among Saudis steeped in religious puritanism and dependence on the state. “The first capitalist city in the world ... this is the unique thing that will be revolutionary,” said Prince Mohammed, heir to the throne of the largest Arab economy, an absolute monarchy. The 32-year-old spoke on the sidelines of the Future Investment Initiative conference, which has attracted nearly 4,000 delegates from around the world to Riyadh this week. Switching between English and Arabic, sometimes in the same sentence, the prince seemed most excited discussing his plans for the new city. Adjacent to the Red Sea and the Gulf of Aqaba and near maritime trade routes that use the Suez Canal, the zone will serve as a gateway to the proposed King Salman Bridge, which will link Egypt and Saudi Arabia. NEOM will be fully owned by Saudi Arabia’s sovereign Public Investment Fund (PIF) until its listing, and will attract investments from companies in renewable energy, biotechnology, advanced manufacturing and entertainment, the PIF has said. The new city will not follow the rules and regulations enforced in the rest of Saudi Arabia, which imposes sharia law based on a strict Wahhabi interpretation of Islam. It will offer residents a more liberal lifestyle, allowing musical concerts and entertainment in a remote corner of the desert kingdom. Saudi Arabia has already started to relax some long-standing rules, including what was an effective ban on women driving. 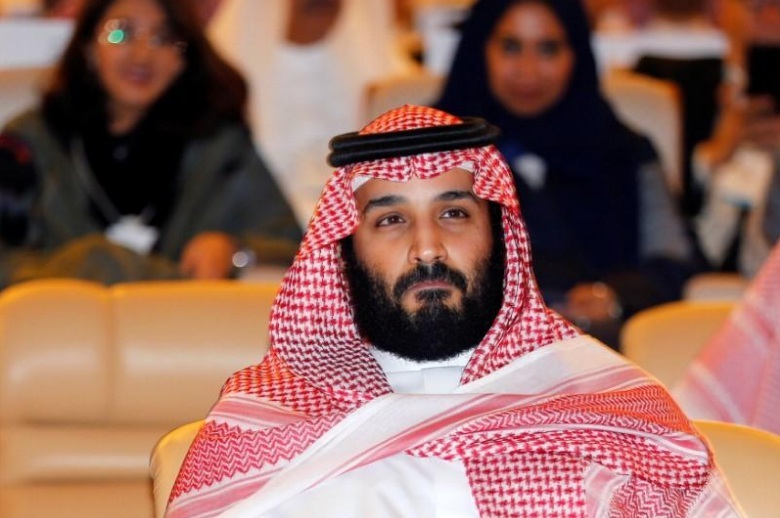 Prince Mohammed said the city could appoint a board of directors and government (chief executive) whose only responsibility will be to stimulate economic activity. He said the name mixed “neo”, meaning new, with M, the first letter of the Arabic word for future. The new city is part of the crown prince’s ambitious Vision 2030 plan to overhaul the economy of Saudi Arabia, OPEC’s largest producer, and provide jobs for an overwhelmingly young population in the face of a global oil price decline since 2014. Prince Mohammed has portrayed the reforms as a matter of economic survival, but one challenge for the ruling Al Saud family has been to secure the acquiescence of traditionalist clerics upon whose support the family relies for legitimacy. Some clergy suspect the bold initiatives conceived by the prince in leisure and tourism presage sweeping reforms in education, a bastion of conservatism where clerical control is believed by Western critics to have encouraged Islamist radicals not just in Saudi Arabia but across the Muslim and Arab worlds. But the prince has pushed ahead, confident he has the backing of most young Saudis, who make up the bulk of the population. Economic growth has slowed and the economy may shrink this year as the government introduces austerity measures. “The idea is not to restructure the economy as much as to seize the opportunities available that we didn’t address before. We have high capacity and we use only a little,” Prince Mohammed said. He became next in line for the throne in June after the king, his father, removed a more senior prince from the succession. He has pledged to transform Saudi Arabia economically and socially. Prince Mohammed also said Saudi Arabia’s dispute with neighboring Qatar had not affected investment. Saudi Arabia and three Arab allies cut diplomatic and transport ties with Qatar earlier this year over accusations that Doha supported Islamist “terrorists”. Qatar denies the allegations. Prince Mohammed said the kingdom’s war in Yemen would continue in order to prevent the armed Houthi movement from turning into another “Hezbollah” on Saudi Arabia’s southern border. “We’re pursuing until we can be sure that nothing will happen there like Hezbollah again, because Yemen is more dangerous than Lebanon,” he said. Hezbollah, armed and backed by Iran, has become a formidable force in Lebanon and Syria. The Houthis also reportedly receive arms and training from Iran, Riyadh’s arch-rival. Yemen’s location is crucial, said Prince Mohammed. “It’s next to Bab al-Mandab so if something happens there, that means 10 percent of world trade stops,” he added, referring to the strait at the southern end of the Red Sea. The $500 billion mega-city planned by Saudi Arabia will be floated on financial markets alongside oil giant Saudi Aramco as part of the kingdom’s drive to diversify away from oil, the crown prince told Reuters in an interview late on Wednesday. Crown Prince Mohammed bin Salman also said Aramco’s initial public offering is on track for next year and the national oil giant could be valued at more than $2 trillion - a sum some investors have said appears unrealistically high.